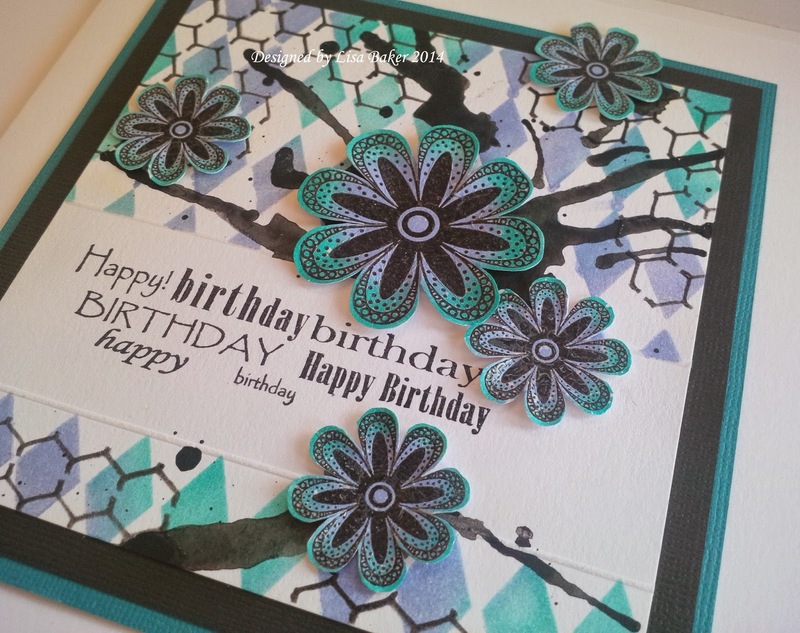 I used my Distress Inks to create the initial background with the Imagination Crafts Diamond Stencil. This is one of my favourite stencils and I use it so much as you have probably realised!! I used a Blending Tool to add two colour inks through the stencil but as you can see in the second photograph I embossed two lines creating a border using my large headed embossing tool (8mm) and a scoring board through the centre of my cardstock and the masked off that area with copy paper. Then when I put the stencil over the area and inked it with my blending tool it just went where I wanted it to. I wanted a splodged area on the background but slightly controlled so I made a wash with some black gesso, loaded up a large paint brush and added a paint puddle to the top third of the card. I then took a plastic straw and blew some of the paint puddle upwards and outwards to the edges of the card. I repeated the same at the bottom but no so much. 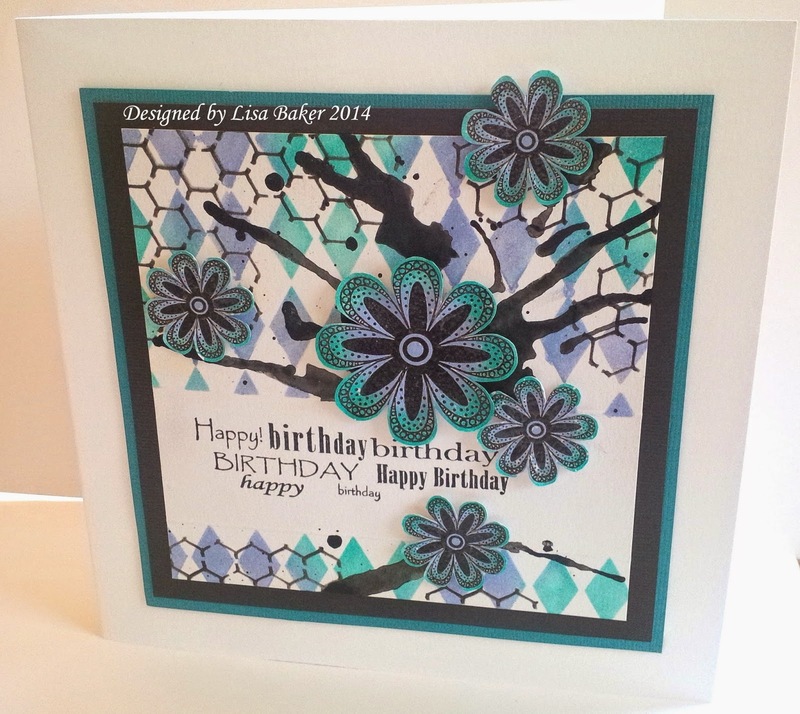 Love the layers of stencilling and the ink blowing. Very brave that !